Home » Uncategorized » Why do I write? Writing is extremely cathartic for me. Sometimes I feel like my mind is running a million miles an hour in twenty different directions. Too many projects, too little time. When I force myself to slow down and process how I want to communicate an idea, everything comes into focus. Often times, I’m finished with a sewing project and it is not until I actually sit down to write about it that the full effect of what I learned from it hits me. This is true no matter the topic. I have a tendency to want to rush into another project before I write about and finish another. When I do this I feel like I really miss out on the full experience of whatever I’m working on. Writing it down in an organized fashion gives me the opportunity to really catalog what I’ve learned in a way I can share with others. It removes all vagueness. I am able to process what I did from start to finish, take note of what went right, what went wrong, how I can make it better, and what I will do different next time. I feel like my ideas never fully crystalize if I don’t take the time to do this. I often fly by the seat of my pants when I’m sewing the final step of writing it down solidifies the experience and turns it into something I can teach others. This is a funny question to me. I don’t even know how to answer it really. I have so many things that I am “working on” right now that I’m not really sure what that means anymore. How long does something have to sit without being touched before the term “working on” no longer applies? Instead I’ll tell you briefly what I’m most excited about in my studio right now. 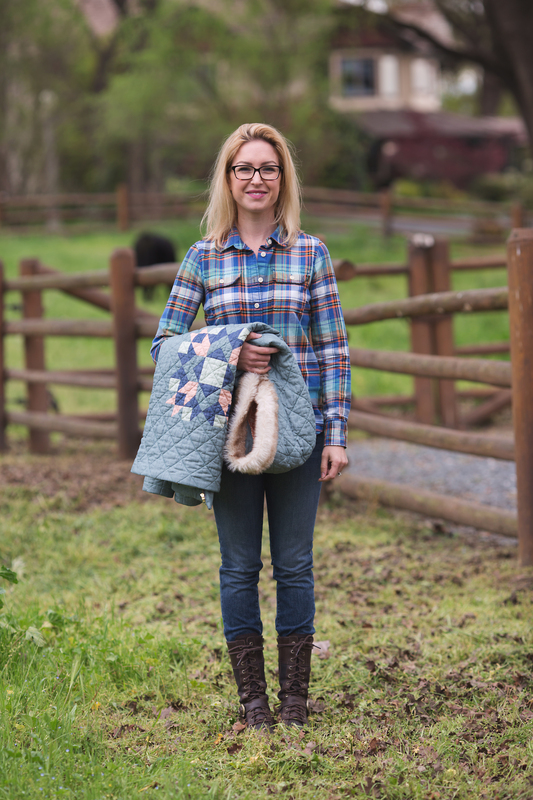 I have two quilt patterns of my own that I’m working on and I plan to make available on the site in the future. I have no deadline for when this will happen except to say…eventually. I addition to that I am working on a quilt project for my daughter that will be my first experience with hand quilting and will go on her toddler bed when she grows out of her crib. That WIP I can show you. 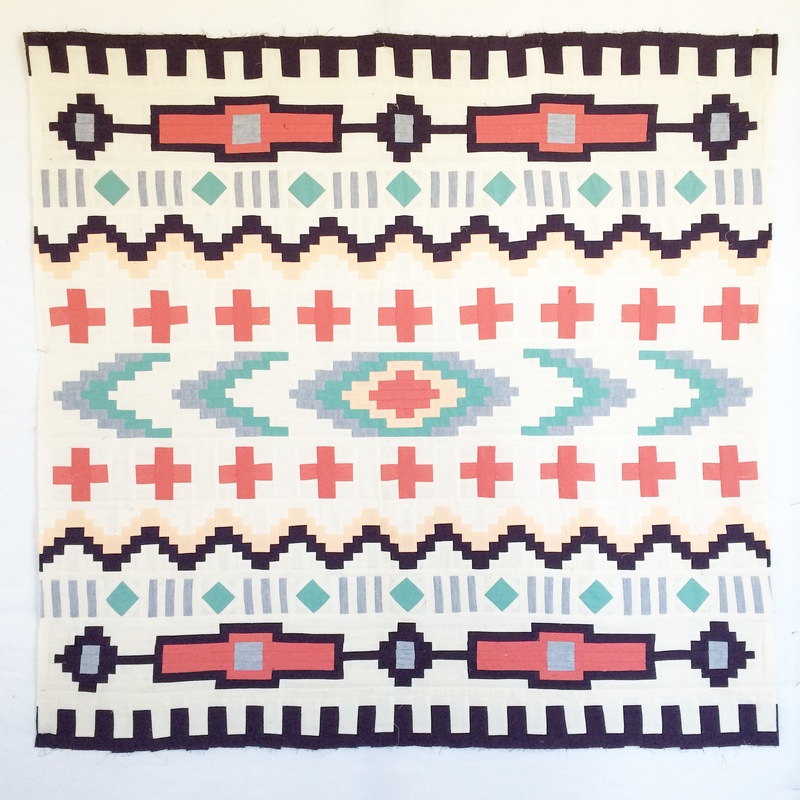 I have loved every step of working on this quilt. It is my favorite thing I have made lately. In addition to these things I am making ice cream regularly and giving it away every Friday on the Rossotti’s Handcrafted Ice Cream’s Facebook page. This is something I never expected when I started the blog. Making ice cream is something I have always enjoyed. Others seem to be enjoying it too and as long as that continues There will always be Ice Cream Friday. I’m still figuring out how to marry these two things I love to do in a way that makes sense. Sewing and ice cream, that is. 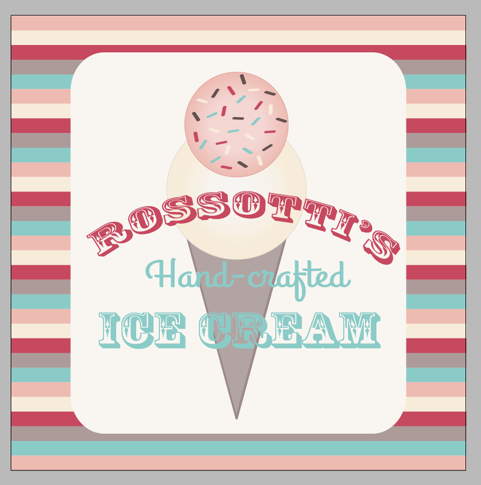 I am currently working on getting the Rossotti’s Handcrafted Ice Cream website up where I can share my ice cream adventures with everyone. For now Facebook is working well enough and I am having so much fun at it. How does what I’m working on differ from what others are doing? One of the quilt projects I’m working on I am really excited about because as of yet I haven’t seen anyone else do it. I have big ideas for this project and I will share it here as soon as it’s ready. Sorry I can’t give any more details than that. As far as my writing goes, I’m not sure that how I do it particularly different than how others do it. I just try to be myself and write as well as I know how. My writing process always first involves a lot of staring at the computer screen. Once I get about a paragraph in it starts to flow. It’s usually not great at first and when I’m finished I let it marinate for at least a day. I do a lot of re-reading and editing as I write. A lot. After the marinating period, I go back and try to make whatever I’m writing as succinct as possible. This is the hard part and it takes the longest. I get attached to my words sometimes and it is hard to let them go. Sometimes I can’t and I leave them in. Win some, lose some. Writing is hard but once I get going I love the challenge of it. Writing well is like a puzzle. Especially if you are trying to tell a story. My ultimate goal for writing my blog is to be as genuine as I can. The things I do are important to me and an essential part of my happiness and well-being. My entire life I have loved to create things and work with my hands. I cannot remember a time this was not true. I can remember many times in my life, however, when I suppressed this tendency. Doing so cause unnecessary suffering which, in retrospect is now obvious. To not be creative is to cause myself to suffer and now that I know better, I do better. For me, to create is to live happily.